Mr. Alles serves as Celgene Corporation’s Chairman and Chief Executive Officer. He assumed the role of Chief Executive Officer and joined Celgene’s Board of Directors on March 1, 2016. The role of Chairman was added on February 6, 2018. Mr. Alles served as President and Chief Operating Officer from August 2014 until February 2016, Executive Vice President and Global Head of Hematology and Oncology from December 2012 until July 2014, and was also Celgene’s Chief Commercial Officer. Mr. Alles joined Celgene in April 2004 and was Vice President, Global Hematology Marketing until March 2009 when he was promoted to President of the Americas Region. Responsibility for commercial operations in Japan and the Asia Pacific Region was added in July 2011. 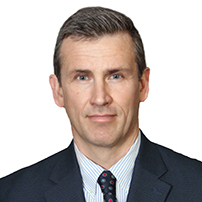 Before joining Celgene, he was Vice President of the U.S. Oncology business unit at Aventis Pharmaceuticals and served in other senior commercial management roles at Aventis (Rhône-Poulenc Rorer) from 1993-2004. After earning his B.S. Degree from Lock Haven University of Pennsylvania and serving as a Captain in the United States Marine Corps, Mr. Alles began his thirty-year career in the pharmaceutical industry at Bayer and worked at Centocor before its acquisition by Johnson & Johnson. He is a member of the Board of Directors of the Pharmaceutical Manufacturers of America (PhRMA), the European Federation of the Pharmaceutical Industries and Associations (EFPIA), and serves on the Board of Gilda’s Club NYC, a non-profit organization dedicated to helping families of people living with cancer. 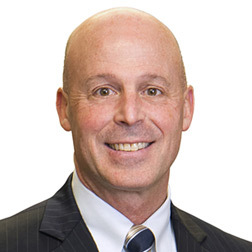 Mr. Kellogg is the Executive Vice President and Chief Financial Officer of Celgene, overseeing Financial Planning, Accounting, Tax/Treasury and Investor Relations. Before joining Celgene, he was Chief Financial Officer and Executive Vice President of Merck & Co. Inc. from 2007 to 2014. From 2000 to 2007, Mr. Kellogg served as Chief Financial Officer and Executive Vice President of Finance at Biogen, Inc.. Earlier in his career, Peter was a member of the PepsiCo Management for 13 years. He was the Senior Vice President, PepsiCo E-Commerce at PepsiCo Inc. in 2000 and Senior Vice President and Chief Financial Officer, Frito-Lay International, from 1998 to 2000. Before that, Peter held various GM and CFO roles in Frito-Lay and Pepsi Cola in the US, Europe, Asia, and Latin America. 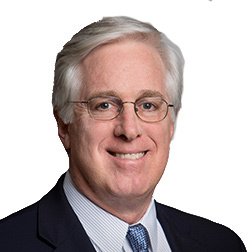 Prior to joining PepsiCo, Mr. Kellogg was a senior consultant with Booz Allen & Hamilton and Arthur Andersen & Co. Since 2007, Mr. Kellogg has served on the Board of Directors of Yield10 (formerly Metabolix, Inc), a public bioscience company focused on developing step change improvements to crop yields to enhance global food security. Peter received his BSE from Princeton University in 1978 and MBA from The Wharton School in 1982. Mr. Ahmed was promoted to President, Hematology & Oncology Franchise, effective August 23, 2017. Previously, he was President of Worldwide Markets for the Hematology & Oncology Franchise. Mr. Ahmed served as General Manager, US Hematology & Oncology from August 2014 until March 2016. He joined Celgene in 2010 as Global Head of Marketing for Celgene’s Multiple Myeloma Franchise after holding positions of increasing responsibility in Clinical Development, Medical Affairs, Global and US Marketing at GlaxoSmithKline. Mr. Ahmed has over 25 years of industry experience. He serves on the Board of Directors of Family Promise, a not-for-profit organization helping homeless families. Mr. Ahmed holds a Bachelor of Science Degree in Pharmacology from University College London, UK and a Master of Science Degree in Information Technology from Loughborough University, UK. Ms. Curran was promoted to President, Inflammation and Immunology Franchise, effective April 1, 2017. Previously, she was Head of Worldwide Markets for the I&I Franchise. 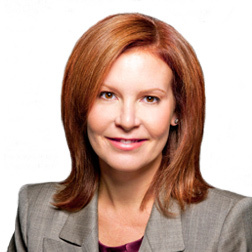 Ms. Curran joined Celgene in 2013 as the U.S. Commercial Head of the I&I Franchise and built the capabilities and recruited the teams that executed the successful U.S. launch of OTEZLA®. Prior to joining Celgene, she was Merck’s Senior Vice President and GM of the Global Women’s Health franchise from 2009-2013.The UNFPA honored Terrie with an award for the Health and Dignity of Women and Girls in 2012. Ms. Curran previously served as General Manager for Schering-Plough Switzerland, which subsequently merged with Merck. Prior to moving to Switzerland, Terrie was General Manager of Schering-Plough Australia/New Zealand and served on the Asia Pacific Regional Management Team. She originally joined Schering-Plough (Australia) as Director of Specialty Health Care, where she successfully launched Remicade. Earlier in her career she served in a variety of sales, marketing and management roles at the former Pharmacia. Dr. Vessey serves as President of Research and Early Development. He joined Celgene in January 2015 as Senior Vice President, Translational Development. Before joining Celgene, Dr. Vessey was Senior Vice President of Early Development and Discovery Sciences at Merck. During his ten years with Merck, Dr. Vessey was responsible for numerous drug development programs and served as Senior Vice President, Early Development and Discovery Sciences, Senior Vice President, Respiratory and Immunology Franchise and Vice President, Drug Discovery and Informatics. Prior to Merck, he spent five years at GlaxoSmithKline in drug discovery, experimental medicine and early clinical development of therapeutics for respiratory and immune diseases. Dr. Vessey graduated from Oxford University with degrees in Physiological Sciences (MA), Clinical Medicine (BM, BCH) and a DPhil (PhD) in Molecular Immunology. He is an elected Fellow of the Royal College of Physicians. Mr. Masoudi joined Celgene in May 2015 and was named Executive Vice President, General Counsel and Corporate Secretary on June 1, 2015. 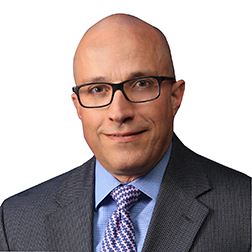 He joined Celgene from Covington & Burling LLP, a leading international law firm, where he was a partner and served as co-chair of the Food and Drug practice group. At Covington, he advised multinational companies and trade associations on significant litigation, enforcement, regulatory and public policy matters. Before joining Covington, Mr. Masoudi served as Principal Deputy/Acting Chief Counsel (2004-05) and as Chief Counsel (2007-09) of the U.S. Food and Drug Administration (FDA), where he advised the FDA Commissioner and HHS leadership on regulatory, litigation and enforcement matters under the Food, Drug and Cosmetic Act and related statutes. Before joining the FDA as Chief Counsel, Mr. Masoudi served as Deputy Assistant Attorney General for international, policy and appellate matters in the Antitrust Division of the U.S. Department of Justice (2005-07). 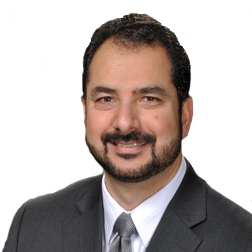 Before his government service, Mr. Masoudi was a trial and litigation partner with the law firm Kirkland & Ellis LLP. Mr. Masoudi received his J.D. from The University of Chicago Law School, graduating in 1993 with high honors. He received his B.A. in economics in 1990 from Amherst College.